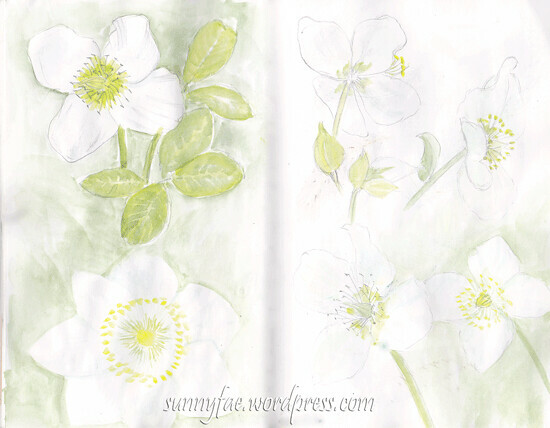 Some small sketches drawn of Christmas rose flowers as they came into bloom. Hi there, hope every one enjoyed the holidays. This year I received a Christmas rose from mum. She has great faith that one day one of the plants she gives me will make it though the year, so far this has not been the case. This one however will be planted out in the garden in a week or so, when the tree finally comes down, so you never know this could be the year! I’ve been drawing the flowers as they bloom because I’d like to capture some memory of it before the inevitable happens. It doesn’t show up too well through the computer because they are white flowers on white paper and the pencil marks don’t seem to show up well when I scan them. I’m going to have a few more goes at this, they are beautiful flowers and I would really like to try and do them justice. We’re at the end of the year now, waving good-bye to 2016 and hello to 2017. 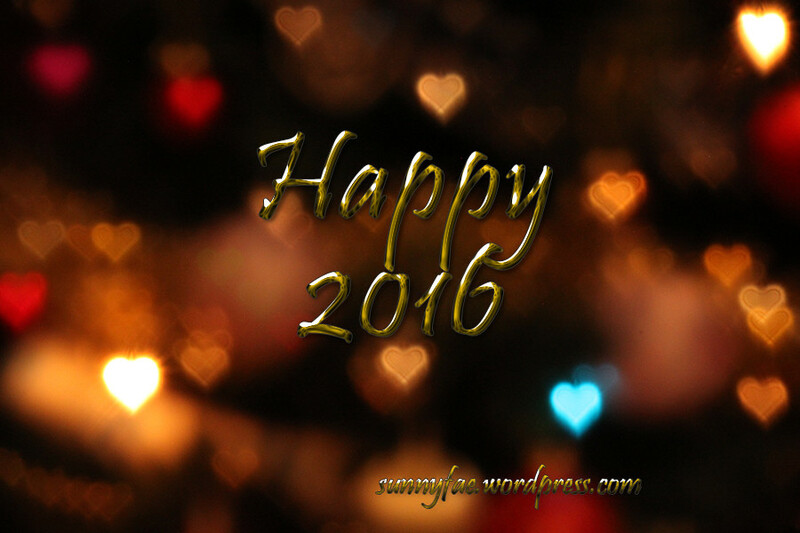 I would like to wish you all the very best of years to come, I hope it’s a good year filled with love laughter and kindness. I’m not doing look backs of what I did. I did stuff and some of it is here (if I liked it) the rest was a learning experience that taught me stuff about tools, materials or techniques. I’m also not doing new years resolutions. That’s just setting me up to fail so I’m going to keep on doing what I do hopefully learning lots along the way. I would like to thank any one that came and read my little ramblings this year and all new followers. thanks for liking or commenting and in general for just being there.